My youngest sister and her husband recently renovated a house and decorated in a 1930’s style. It is very tastefully done and brings a sweet sense of old fashioness to the forefront. 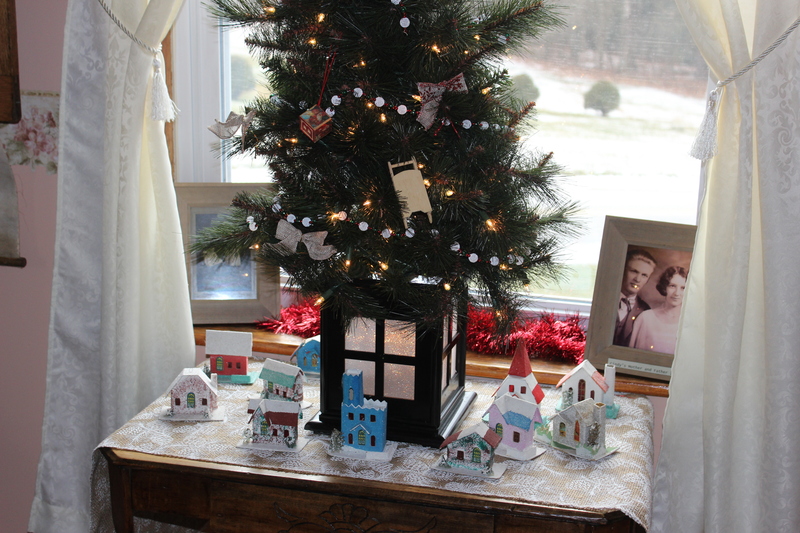 The School House Haven incorporated both the one -room school house theme and the small self-sufficient family farmette style throughout the house and surrounding landscape. 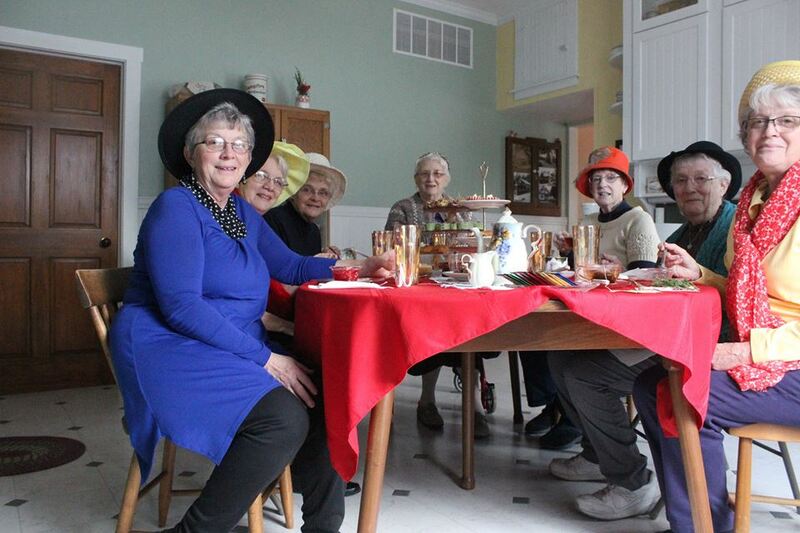 What better place to have a tea with retro fashion hats and lots of sisters to share the unique experience. We were actually honoring our eldest sister who turned 83 earlier in the month. Today there are six of us and one sister-in-law to share in the fun. Note the paper chain decoration in the door way, and the world map flip-chart in the background. 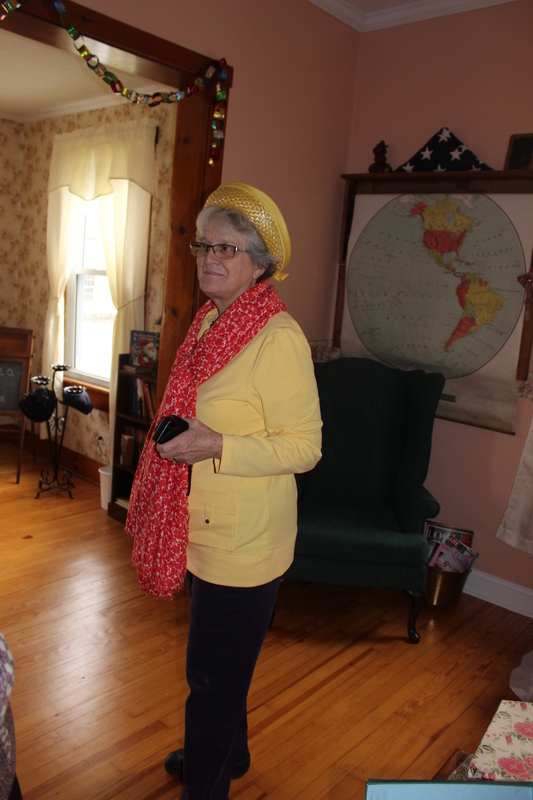 First we selected hats and although there were no prizes and everyone looked great, I said that Brenda won the hat prize with her pretty yellow top and red scarf. The yellow hat she chose was perfect. 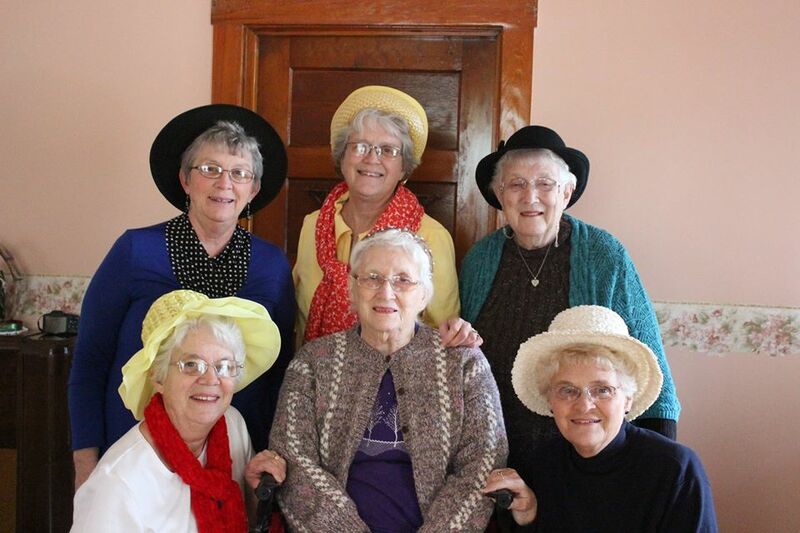 Jeannine, (front middle) chose a hat so small you can hardly see it but, as someone suggested, she was NOT a party hat pooper. The sister-in-law from the Kane family was kind enough to take this picture. 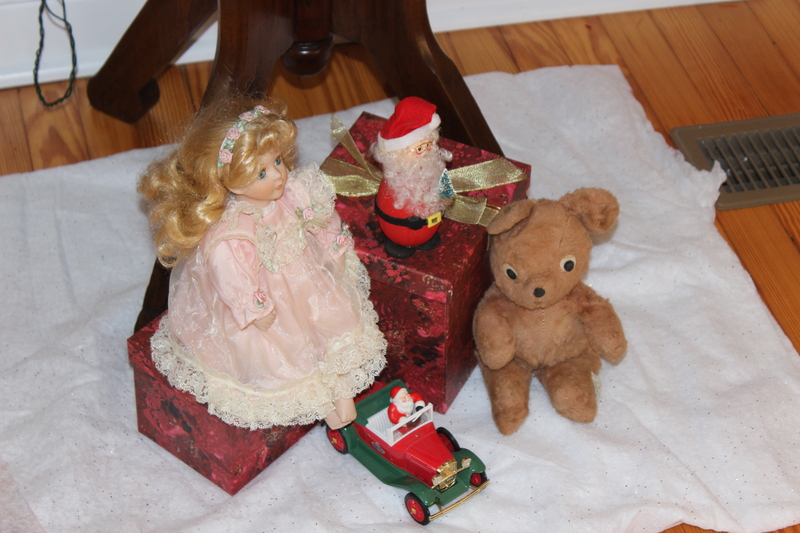 Still decorated for Christmas, we took a look around at some of the antique decorations Cindy had collected. 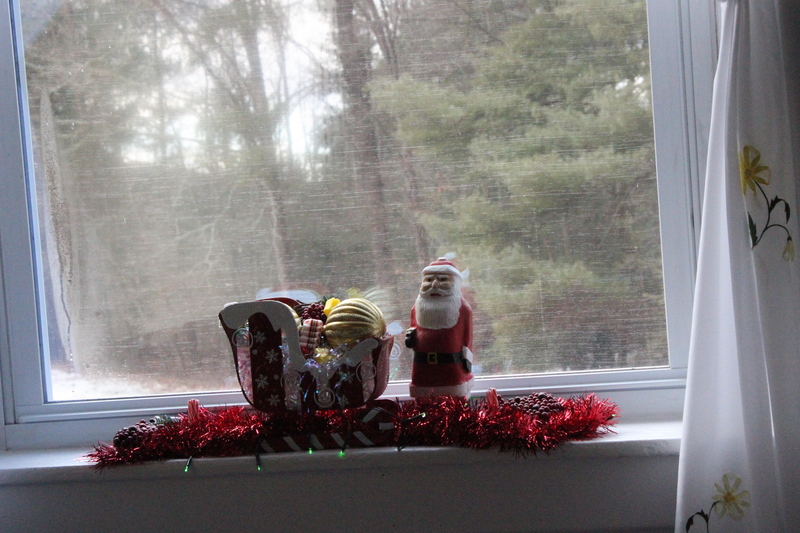 I loved this window picture with the paper snow covered village houses, and the tree. The picture on the right is our mom and dad’s wedding picture. She was 19, he was 21. 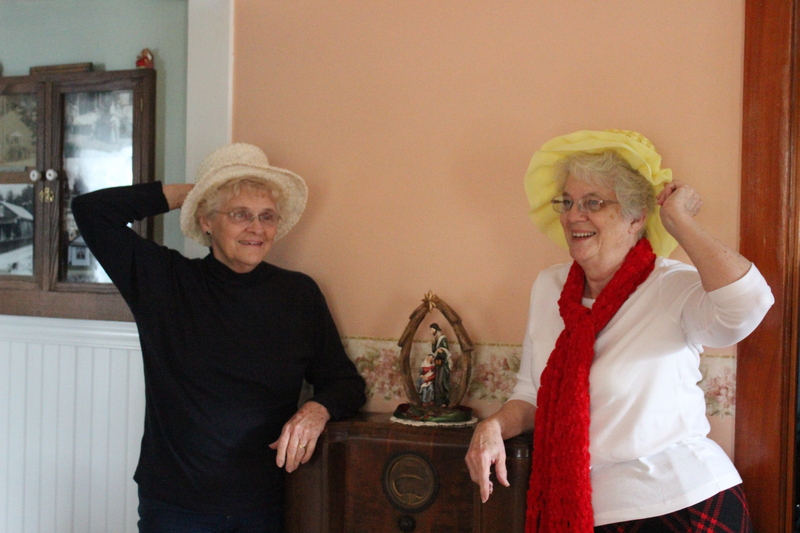 Before going into the kitchen, Linda and I pose beside an old radio just like the one our grandfather owned and listened to the Lone Ranger long before we ever had a TV set. 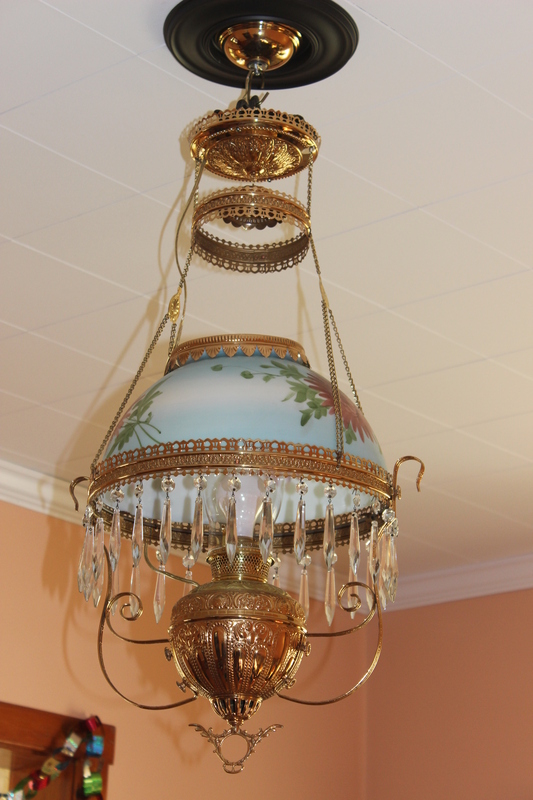 My eye caught this beautiful chandelier in the living room. It belonged to Grandma Kane’s mother-in-law, now a wonderful addition to this quaint respite available for short stays free of charge to workers in full-time Christian Ministry. A ministry in itself provided by owners, Don and Cindy Kane. 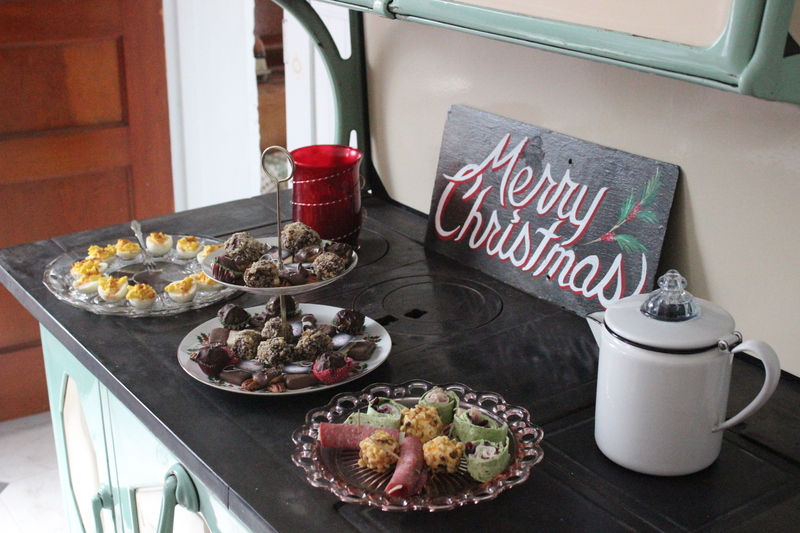 Now we enter the kitchen and have a look at a sample of the goodies laid out on this decorative old cook stove. 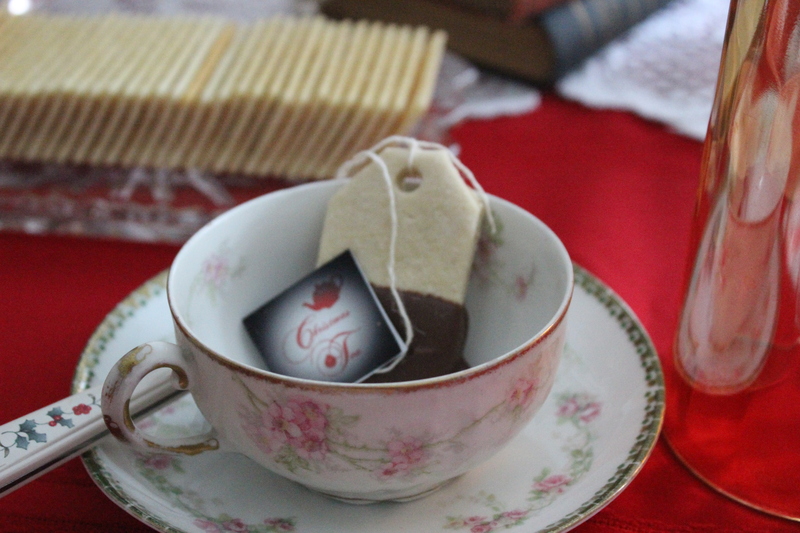 Don’t let that tea bag fool you, you might not want to pour hot water over the carefully crafted shortbread cookie dipped in chocolate for an appetizer. Tea, and a host of other delightful delicacies, was served. Thank Cindy you were a wonderful host.